MAYS LANDING – Four men were charged Tuesday with felony murder, and three other persons were charged with gun and drug possession charges, in connection with the shooting deaths of two men at an Absecon Boulevard motel/hotel in March 2015, Acting Atlantic County Prosecutor Diane Ruberton announced. Autopsies performed the next day of Owens and Alvarez by New Jersey Medical Examiner’s Office Dr. Gerald Feigin determined that Owen’s death was caused by a gunshot wound to the chest, that Alvarez’s death was caused by multiple gunshot wounds, and that the manner of both deaths was homicide. An 18-month investigation by the Atlantic County Prosecutor’s Office Major Crimes Unit and the Absecon Police Department, with assistance provided by the Atlantic City, the Pleasantville, the Galloway Township, the Hamilton Township, and Egg Harbor Township police departments, resulted in the issuance of criminal charges this past Tuesday against seven (7) persons involved in the incident. The State alleges that Diante Owens and the four men listed below were engaged in “the commission of, or an attempt to commit, or flight after committing or attempting to commit the crime of robbery, during which” Gerald Alvarez was killed. The State also alleges that the targets of the robbery were themselves armed with handguns, were inside a rented hotel/motel room engaged in drug distribution, and that gunshots were fired on both sides. Brian Bennett, 25, of North Third Street, Pleasantville, NJ, Aaquile Reeves, 20, of Oyster Bay Road, Absecon, NJ, Tywan Dixon, 22, of Magnolia Avenue, Pleasantville, NJ, and Donnell Nicholas, 24, of Wabash Place, Atlantic City, NJ. Bennett was arrested in Pleasantville without incident by Atlantic County Prosecutor’s Office Major Crime Unit Detectives and Pleasantville Police officers on Tuesday, August 23, 2016, and was lodged in the Atlantic County Justice Facility. Reeves was arrested the same day at the Atlantic County Justice Facility, where he was being held on an unrelated matter. Reeves was served the criminal complaints and processed for the arrest by ACPO Major Crime Unit detectives, and returned to the Atlantic County Justice Facility. 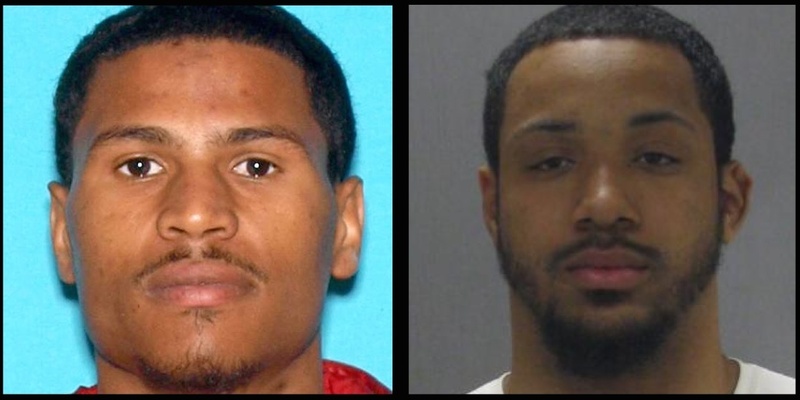 Dixon and Nicholas remain at-large, fugitives from justice, and law enforcement requests that anyone with information about their whereabouts contact the Atlantic County Prosecutor’s Office Major Crimes Unit at 609-909-7666. Yesterday, Wednesday, August 24, 2016, Detectives of the Atlantic County Prosecutor’s Office Major Crime Unit and the Hamilton Township Police Department arrested Villari in Hamilton Township without incident. Later yesterday, Hamilton Township Police officers subsequently arrested Geckeler in Hamilton Township, and Trevor Murray surrendered himself to Prosecutor’s Office detectives. All three were processed for the arrest, and lodged in the Atlantic County Justice Facility bail, set by Judge Blee at $75,000 / no 10%. The first court appearance of Brian Bennett and Aaquile Reeves is scheduled for 8:45 a.m. tomorrow, Friday, August 26, 2016, before Atlantic County Superior Court Judge Bernard E. DeLury in Courtroom 5 of the Atlantic County Criminal Court on Unami Boulevard, Mays Landing.